Chapel of the Flowers in Las Vegas anticipates increase in 2017 weddings based on marriage proposals that will take place between Thanksgiving and New Year’s Day. Over 300,000 couples are expected to get engaged during 2016 holiday season. Thanksgiving weekend, best known for the famous parade, turkey, Black Friday shopping deals, and endless football games, is also considered the kick-off to “wedding season,” when thousands of couples make their relationship official with a marriage proposal and diamond engagement ring, according to Las Vegas wedding venue Chapel of the Flowers. “Engagement Ring” is one of the top searched terms on Google in November and December, so it doesn’t come as a surprise that hundreds of thousands of social media feeds are filled with posts of smiling couples and “bling” updates on Pinterest, Snapchat, Instagram, and Facebook. Over 300,000 engagements in the United States are projected during the 2016 holidays. 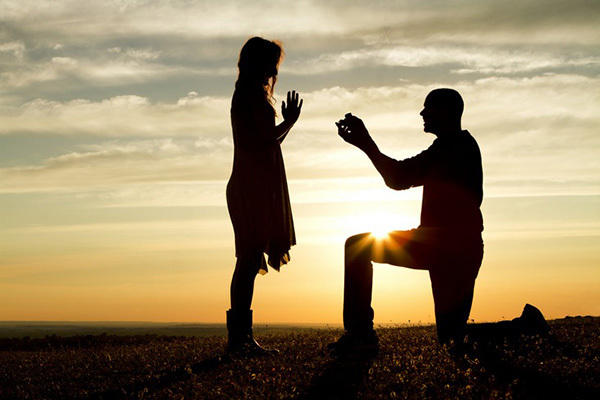 The busy season is the most popular time of the year to get engaged, with approximately 25% of all marriage proposals taking place between Thanksgiving and New Year’s Day. Chapel of the Flowers, recently recognized as the top wedding venue in Las Vegas by readers of The Las Vegas Review-Journal, and a consistent favorite on The Knot and TripAdvisor, has seen an increase in wedding inquiries and bookings during and immediately after the holidays over the past decade, and Pinterest wedding idea boards will drive many of the requests for photography sessions and flowers. Chapel of the Flowers, the only freestanding venue of its kind on the Las Vegas Strip, will host close to 6,000 wedding ceremonies in 2016. Indoor chapels include the newly remodeled Magnolia, the historic Victorian Chapel and the Italian-influenced La Capella. Chapel of the Flowers also has the most popular outdoor wedding settings in Las Vegas: the modern gazebo with crystal drops romantically hanging from the ceiling, and the Glass Gardens, currently being renovated and opening on February 13, 2017, just in time for Valentine’s Day weddings. Chapel of the Flowers, featured in movies, TV shows and music videos, has been located at 1717 Las Vegas Boulevard for nearly 60 years and is in close proximity to the hip SLS Hotel and across the street from the famous Stratosphere. Wedding, commitment ceremony and vow renewal packages at Chapel of the Flowers include professional wedding planners and coordinators, luxury limousine transportation, professional photography and videography and designer floral services. The Chapel employs over 90 on-site employees to ensure that each couple is pampered and that guests receive exemplary service. The one acre venue with waterfalls, gardens, a gazebo and a crystal canopy consistently ranks as one of the top destinations to see in Las Vegas, according to TripAdvisor.com. The Chapel, also known as Little Chapel of the Flowers, has maintained a five out of five star average from brides and grooms on top wedding website, The Knot. For more details about engagement season or the wedding venue and chapels, contact Chapel of the Flowers at 702-735-4331 Couples interested in learning more about weddings or vow renewal ceremonies at Chapel of the Flowers can review details about packages and available dates at http://www.LittleChapel.com. Founded in 1960, Chapel of the Flowers is Las Vegas’ highest rated and largest full-service wedding venue, providing traditional, modern and elegant Las Vegas weddings on the world-famous Strip. Nearly an acre of cobblestone-accented grounds and vibrant backdrops are designed to capture every picture-perfect moment of a Las Vegas wedding. Professional wedding planners ensure that every aspect of the wedding day is personal, easy and stress-free. Chapel of the Flowers’ impeccable customer service assures the couple that all details of the wedding, including the ceremony, flowers, award-winning photography and reception venues will result in cherished memories for a lifetime. Chapel of the Flowers is one of the preferred venues in Las Vegas, the wedding capital of the world.